The bold and brave Bullmastiff is an apple of eye for its master. 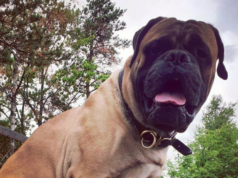 People like to train the Bullmastiff dog and enjoy to spend quality time with this faithful giant dog. Unfortunately, this dog breed suffers from a variety of diseases due to the genetic factors and environmental factors. 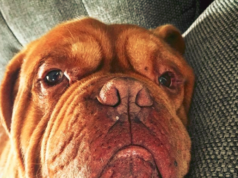 It includes stomach issues, lymphoma in Bullmastiff dog, eye disorders, tumors, ear infections and cardiovascular diseases. 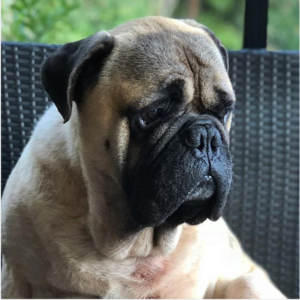 Seizures in Bullmastiff dog is one of the issues which leave a bad impact on the health of Bullmastiff dog. Bullmastiff dog’s owner seems curious to get guidance about the seizures in Bullmastiff dog. Here, they would find the answer to these frequently arising queries such as what are symptoms of bullmastiff dog seizures, what do you do if your bullmastiff dog is having a seizure, can food cause a bullmastiff dog to have seizures, how do you prevent a seizure and cure of seizure in bullmastiff dog. 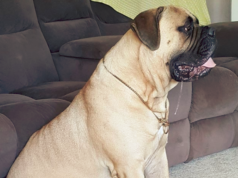 What are the symptoms of bullmastiff dog seizures? The major symptom that helps the master in figuring out the dog’s seizure is the rapid movement of the dog’s muscles. The dog starts relaxing and contracting the muscle quite swiftly. There is a loss of body control and frequent convulsions are observed. In addition to this, vomiting, twitching, and dizziness are the other common symptoms of seizures. What do you do if your bullmastiff dog is having a seizure? One should prevent moving the dog when it is suffering from seizures. If it is necessary to sift it from one place to another then do consider dragging it by the aid of hind limbs. There are chances of defecation or urination in seizures. These uncontrollable movements compel the master to immediately take the pet to the vet. Can food cause a bullmastiff dog to have seizures? The convulsions in a dog can be an outcome of low blood sugar. Likewise, there are certain foods which are shown to have relation with seizures. Salt toxicity is an outcome of excessive sodium which can ultimately lead to seizures. Such dogs are fed on potassium bromide which acts as an anticonvulsant for them. In addition to this, it can be a food allergy which seems to trigger the convulsions. How do you prevent a seizure? Prevent the exposure of your beloved pet from the risk factors for seizures. Provide him a balanced diet and avoid to feed it on the excessively processed meal. Maintain the proper sugar level of Bullmastiff dog. Reduce or limit the sodium intake of your pet. Bullmastiff dog can be treated well by administering the anticonvulsant medications. The vet will diagnose the pet and confirm the type of convulsions. The fits can be treated according to the condition of the dog. In seizures, a portion of the brain of the dog is affected. Vet considers to performs tests on the dog and after proper diagnoses, treatment is being provided to the pet. The delay in treatment can lead to unsatisfactory or delayed outcomes.